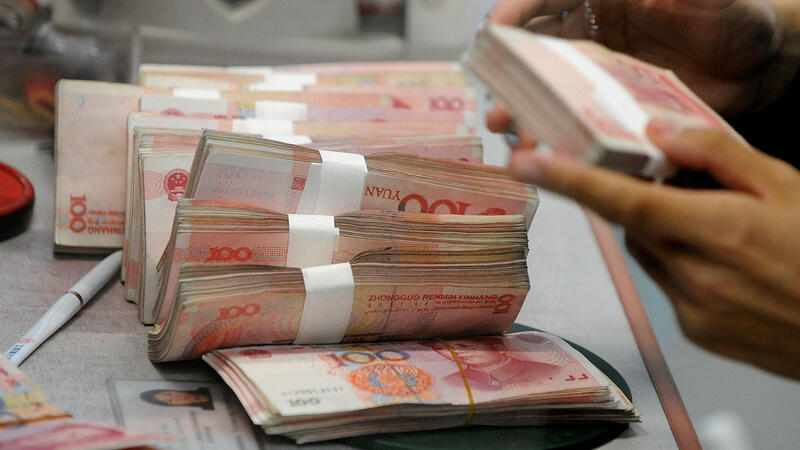 You may not pay in Chinese yuan notes, but a drop in their value affects your spending power. When China suddenly cut the value of its currency Tuesday, investors everywhere were caught off guard. And they didn't like it. They sent both stock and commodity prices much lower. Even interest rates fell. Now maybe you are wondering: Huh? What does this China move mean for me? -- China's government wants to reverse an economic slowdown there. So it decided that to boost growth, it had to take steps to lower export prices and attract foreign customers. -- That meant cutting the value of its currency, the yuan, by nearly 2 percent. -- So now China can, in effect, offer its goods at a discount in the global marketplace, gaining an advantage over competitors, including U.S. manufacturers. -- Investors worry that China's unexpected move tells us that the country's economy is even weaker than they thought. If it is weaker, then China might start pulling back on purchases of goods and services from other countries. -- U.S. manufacturers fear that other central banks might follow China's lead and devalue their currencies too. U.S. exports already are down this year, so tougher competition would be unwelcome here. -- Economists don't like currency or trade wars that distort free markets. And political anger in Washington is rising. Many lawmakers already had been calling for measures to penalize currency "manipulators." Sen. Chuck Grassley, R-Iowa, said in a statement that China's latest currency move means "it's past the time to do something about it." -- Stock prices took a big hit, with the Dow Jones industrial average falling to 17,403, down 212 points. The S&P 500 index tumbled 20 points to 2,084. European stocks fell too, down by 1.6 percent. -- Commodity prices got slammed because a lot of investors figure that China will be buying less of everything. So oil and metal prices fell especially hard, but so did corn, wheat and lumber. -- Interest rates slipped on U.S. Treasuries because investors wanted to put their money somewhere safe. When investors are eager to own Treasuries, then the U.S. government can offer lower rates. So the yield on the 10-year Treasury note fell to a two-month low of 2.13 percent. What does all of this mean for your wallet? -- U.S. consumers got good news on oil prices, which fell to a six-year low of $43.28 per barrel. That pretty much guarantees bargains at the pump this fall. Many experts say gas could be averaging less than $2 a gallon by winter. -- All sorts of commodity prices fell, so that should beat back inflation. For example, if copper and lumber cost less, then builders can hold down prices for new homes. -- Those lower commodity prices might encourage the Federal Reserve to hold off on raising interest rates this fall. If Chinese imports are cheaper, and gas is lower and food prices are restrained, then the risk of inflation is down, so why raise rates? -- Tumbling commodity prices may sound good if you are a consumer, but not if you are a miner or a farmer or an oil field worker. Lower prices could mean lower profits and more layoffs. -- If you're a saver, you may feel like you just can't win. Interest rates are down on your bank savings, and the stock in your 401(k) retirement account is down too. -- If you are a U.S. manufacturer who must compete with China, you too may feel like the deck is stacked against you. It's not easy sorting out whether on balance, China's move will hurt or help you because it depends on whether you mostly consume commodities or produce them — and whether you mostly save money or borrow it. But in any case, a decision made by a few officials in China reached into your wallet on Tuesday. Small world.